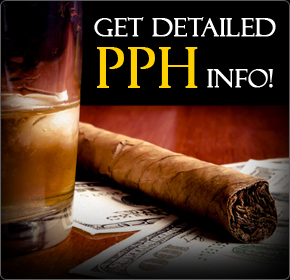 Real PPH or Realpriceperhead.com is another pay per Head credit bookmaker service located in San Jose, Costa Rica. With over 12 years in the industry this shop offers a secure home for all sized agents plus their software includes not seem features before like "MOVE on MONEY/ACTION" lines and LINES CONTROL with move and follow linesman. Some other features include "FOLLOW YOUR FAVORITE SPORTSBOOK LINES". New accounts can call: 1-877-345-6648. Initially when we called we were transferred to sales who answered all the questions with no problems until we asked for a test accounts for us to monitor the lines and see how fast they move or change. We had to lower Perhead.com on the ratings due to security issues. Their websites are consistently getting hit by DDoS attacks and their operation & owners has been associated with mafia. Not a good start. Besides these types of issues Perhead keeps luring law enforcement by getting articles published in "The New York Times" showing images of their own building and operation. This immediately raises a flag and make us start wondering what else does this company is willing to show to the public in return of some attention. Perhead.com (beteagle) likes to be seen. Proceed with caution. It offers a great opportunity for bookies that are looking to move their operation online that do not need all the bells and whistles. There is a flat fee of $7 per player for Internet access. This price is unbeatable for any bookie that knows their players will not mind using the Internet. 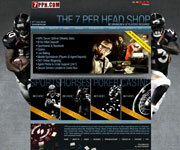 Bookieperhead.com is another player in the PPH world with over 7 years in the industry now. This shop came out in the mid of 2006 headed by a group of bookies from USA that came down to Costa Rica to do business and book their own package. Initially they started with 500 players now the shop just got bigger. They started doing "pay per head" and now the book offers a decent amount of lines & props. They offer a $7 per head deal with no minimums of players which makes this shop a really attractive place for the quality of their service. The price for casino is so low ($3 per head) that also make it a good deal also. 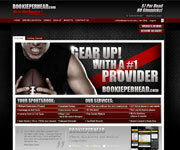 The software is DGS and their lines are featured in DONBEST & SPORTSOPTIONS.